The 10 hottest years on record were all during the past two decades and the hottest global ocean temperatures ever were recorded in 2018 – a heat increase from 2017 equivalent to 100 million times that of the Hiroshima bomb. Climate change is here and it’s already wreaking havoc. The polar bear – something of a poster child for climate change – is just one of countless victims in this warming world. It’s thought that if global temperatures continue to rise by an average of 4.5°C since pre-industrial times, which is likely to happen if we do nothing to reduce our carbon emissions, half of the world’s wildlife could be lost from Earth’s most biodiverse places. 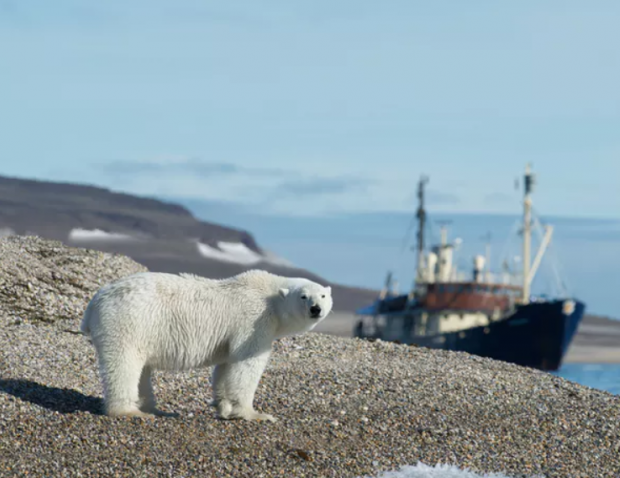 As ocean temperatures melt ice sheets – the hunting grounds of polar bears – these large carnivores have to search new areas for food, which is why 52 polar bears “invaded” a Russian town in February 2019, looking for their next meal. Locals were frightened to go outside – with good reason: polar bears can, and do, hunt people. Sadly, elephants – like most other species – are already experiencing precipitous declines in their populations and this is almost exclusively due to human activities. Climate change will exacerbate conflicts over natural resources between and within species – ourselves included. For example, some observers have suggested climate change was partly responsible for the Arab Spring uprisings, as droughts forced people from rural areas into overcrowded cities and inflamed tensions. If conflicts within our own species can’t be overcome, there is little hope for mitigating conflicts with other species – especially as resources become scarcer. But there is a small glimmer of hope – there are effective methods to reduce damage caused by wildlife. Polar bears can be scared away from human settlements by flares and water tanks can be made elephant-proof. These technical fixes can help limit immediate conflict between wildlife and humans in the short term, providing much-needed relief in poor communities from the damaging effects of intruding wildlife. Realistically however, technical fixes to human-wildlife conflict are only a temporary stopgap. To truly address the issue, we must focus on the root cause. Carbon emissions must be reduced – not only for the sake of wildlife but for the survival of humans too. Much of this is easier said than done, of course. Without political will and sufficient funding all of this falls short. Global leaders must step up to the task – and it is partly up to ordinary people to pressure them to act. Movements such as the Extinction Rebellion and the school students organising global strikes against climate change are an encouraging start and must be built upon. We need to cause an uproar like our lives depend on it – because they do. We have no planet B, as the refrain goes – and neither do the planet’s 8.7m other species.